Mode Conditioning Patch cord (MCP), also known as Gigabit Launch Patch cord, is used in longwave/ long haul (LX/LH) Gigabit Interface Converter (GBICs) with multimode fiber. Without using MCP, multiple signals are generated when a singlemode laser launch into the center of a multimode fiber. 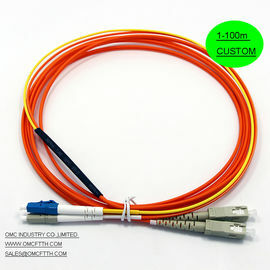 This would result in pulse broadening or Differential Model Delay (DMD) effects which degrade the modal bandwidth of fiber cable and limit the link span (the distance between the transmitter and receiver) for operating Gigabit Application. 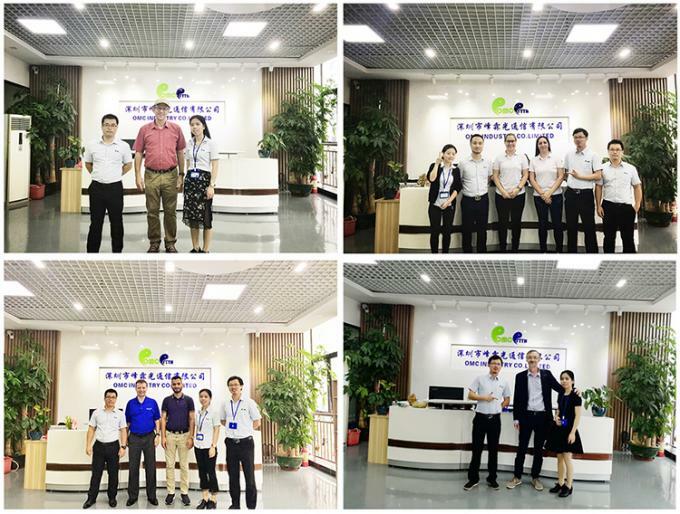 MCP provides an offset single mode to multimode fiber connector point that eliminates the effect of DMD by launching the single mode laser into multimode core at a specified offset. 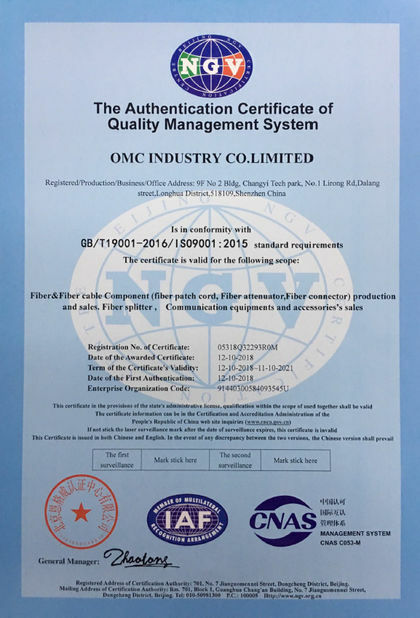 OMC manufactures and supplies standard and custom length 50/125,62.5/125 and OEM equivalent mode conditioning fiber optic patch cords for 1000BASE-LX/LH Gigabit Ethernet (1300nm long wavelength) applications installed into existing multimode cable plants. These specialized cords help avoid Differential Mode Delay(DMD)effects that can occur when long wave transceiver modules operate at both single-mode and multimode wavelengths. And they are available with FC, ST, SC, LC and MT-RJ connectors. 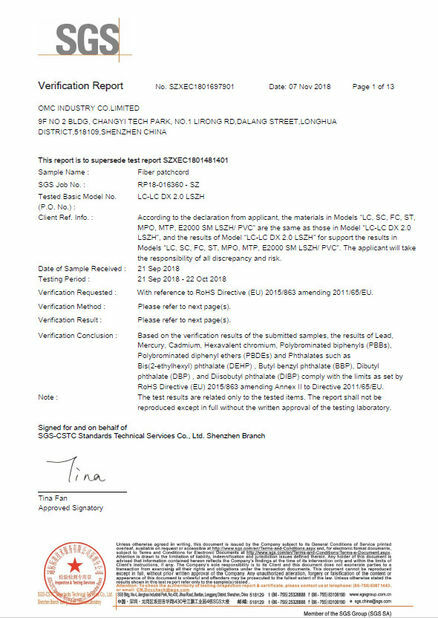 In some cases, customers might experience that a link would be operating properly over FDDI-grade,OM1 or OM2 fiber types without MCP.However please note there is no guarantee link will be operating properly over time, and the recommendation remains to use the MCP.There is a risk associated to this type of nonstandard deployment without MCP,especially when the jumper cable is an FDDI-grade or OM1 type.In such case the power coupled directly into a 62.5-micron fiber could be as high as a few dBm and the adjacent receiver will be saturated.This can cause high bit error rate,link flaps,link down status and eventually irreversible damaged to the device.Mode conditioning patch cords can only convert single-mode to multimode.If you want to convert multimode to single-mode,then a media converter will be required.Another alternative for short reaches within the same location is to use a single-mode patch cable.There will be no saturation over single-mode fiber. 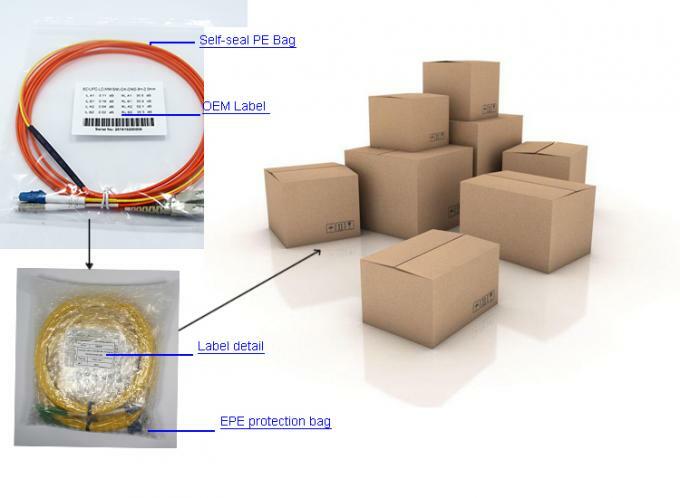 Mode conditioning patch cords are usually used in pairs.Which means that you will need a mode conditioning patch cord at each end to connect the equipment to the cable plant.Generally,Mode Conditioning patch cords are required for link distances greater than 984 feet(300 meters). With above excellent characteristics, mode conditioning patch cables can be used to deploy new high-speed 1000BASE-LX routers, switches, or transceivers within existing multimode system backbones. 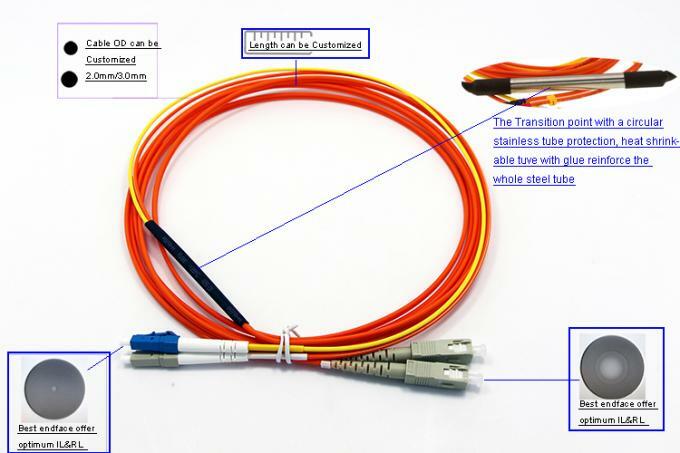 These cables can be applied in Local Area Networks and Metropolitan Area Systems. Notes: A B C and Corresponding to A B C and D on Fig.2.